by Molly Jane Kremer, Clyde Hall, Brendan Hodgdon, and Jarrod Jones. Comics that challenge us, slay us, beguile us—the comics we simply can’t wait to devour. That’s DoomRocket’s Staff Picks. From IDW Publishing’s ‘Glow’ to ‘Dial H for Hero’ #1, here are the comics that have our hearts set ablaze this week. MJ: For the two years it’s been streaming, Glow has been praised as one of the funniest and most heartfelt shows on Netflix. Seasons come and seasons go (especially on that binge-able platform), so if you happen to be aching for even more Zoya or Liberty Belle, IDW’s got you covered. A couple episodes of the show seem to be the only introduction necessary for this first issue at least, but whether you’ve only watched an hour or binged all twenty episodes, Glow #1 feels like a pitch-perfect continuation. 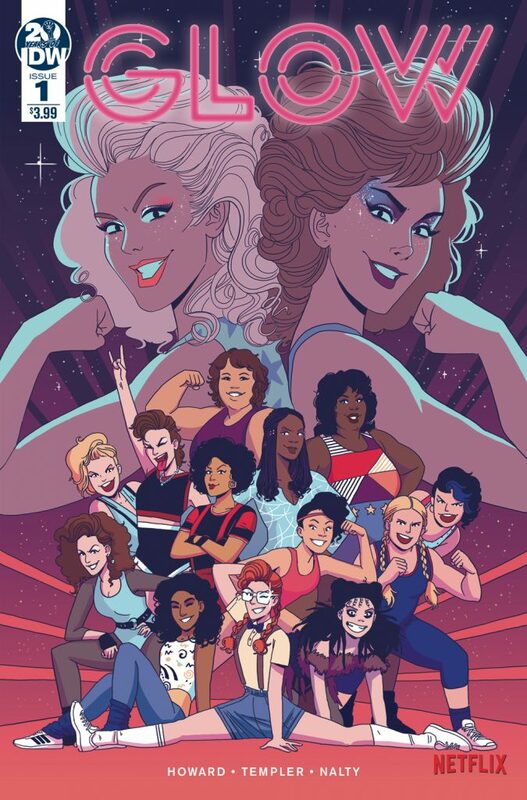 IDW’s Glow features writer Tini Howard, who uncannily captures the show’s humor and heart with personal moments set aside for every member of the cast—which, in a show this big, is a pretty monumental task. Hannah Templer’s art is cheek-pinching cuteness within fluid storytelling. Templer’s likenesses of the actors are very good, subtly accurate even when chibi versions pop up. Akin to the television series, IDW’s Glow makes sure to get female creators involved in as many levels as possible. The comic’s writer, artist, colorist, letterer, and editors are all women, and the show’s co-creators and showrunners, Liz Flahive and Carly Mensch, are credited as executive producers on the comic series, as well. If the wait for Season 3 is too much for you—or if you just want a new comic series that makes you giggle while simultaneously passing the Bechdel test with flying colors—spend some time with the Gorgeous Ladies Of Wrestling. You won’t be disappointed. Written by Scott Snyder, Kevin Smith, Paul Dini, Warren Ellis, Dennis O’Neil, Christopher Priest, Brian Michael Bendis, Geoff Johns, James Tynion IV, Tom King, Peter J Tomasi. Art by Greg Capullo, Jim Lee, Dustin Nguyen, Becky Cloonan, Steve Epting, Neal Adams, Alex Maleev, Kelley Jones, Alvaro Martinez-Bueno, Tony S Daniel, Joelle Jones, Doug Mahnke. Inks by Jonathan Glapion, Scott Williams, Derek Fridolfs, Raul Fernandez, Jaime Mendoza. Colors by FCO Plascencia, Alex Sinclair, John Kalisz, Jordie Bellaire, Elizabeth Breitweiser, Dave Stewart, Michelle Madsen, Brad Anderson, Tomeu Morey, David Baron. Letters by Tom Napolitano, Todd Klein, Steve Wands, Simon Bowland, Andworld Design, Willie Schubert, Josh Reed, Rob Leigh, Sal Cipriano, Clayton Cowles. 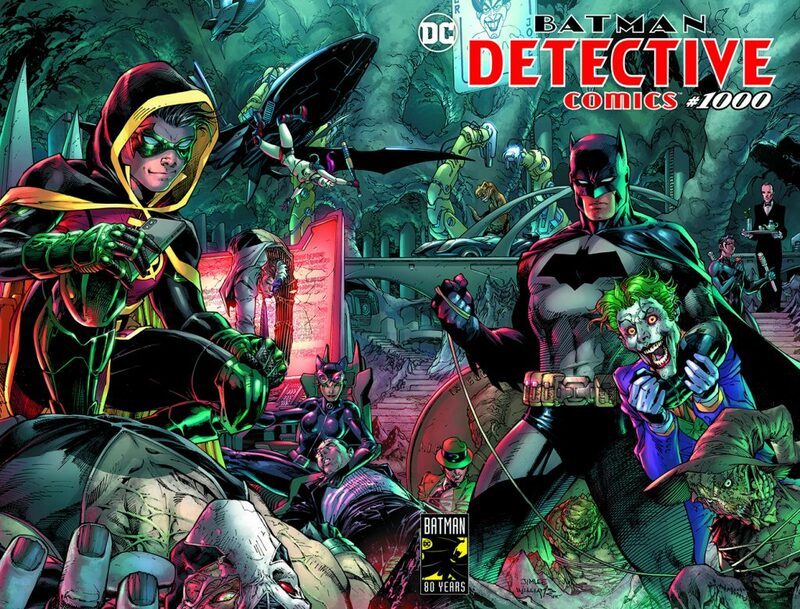 BFH: Following the quality commemoration of Superman’s 80th with Action Comics #1000 last year, DC has set a high bar for themselves with the release of Detective Comics #1000. As one might expect (and can see above), DC editorial has packed this issue to the rafters with A-level talent from across multiple eras of the Dark Knight Detective’s adventures. The end result is an undeniable comics event. There are continuations of tried-and-true collaborations (Snyder/Capullo, Dini/Nguyen), big-name talents that have told tales of The Bat before but aren’t exactly known for it (Ellis, Priest) and pairings that you’ve never seen before but will wish you had (O’Neil and Epting). And across this dynamic deluge of dark delights is a vibrant cross-section of Batman, an (almost) full accounting of his many facets and faces. Throughout eight decades, Bruce Wayne’s alter ego has proven to be one of the most malleable characters in popular culture. Detective Comics #1000 recognizes that, while still celebrating the unchanging particulars that keep Batman one of a kind. Color flats by Dee Cunniffe. JJ: Punks Not Dead has ensnared its lunatic cast in an intricate web of love and violence, and god help me, it’s wriggled its sticky tendrils around me, too. It’s the character intrigue that does it. How these kids mix, spin, punch each other, it’s captivating. Hilarious, even. Fergie & Sid putzing about merry ol’ London; put-upon Asif & dear, dear Dorothy, zipping about in that Mini Cooper, flying the Union Jack and catapulting the plot wherever they go. These are astounding people and I love reading about them. Speaking of, Ms. Culpepper hasn’t been enjoying her sleep near as much as she used to, instead suffering apocalyptic reveries she hopes (I hope) aren’t as prescient as they seem. Sid’s search for his old man is only complicating matters further, each step causing this web of theirs to tighten even more. And its grip has the potential to choke the life from one of them, perhaps all of them. Supernatural frights with mod styling, this is horror/comedy done right. 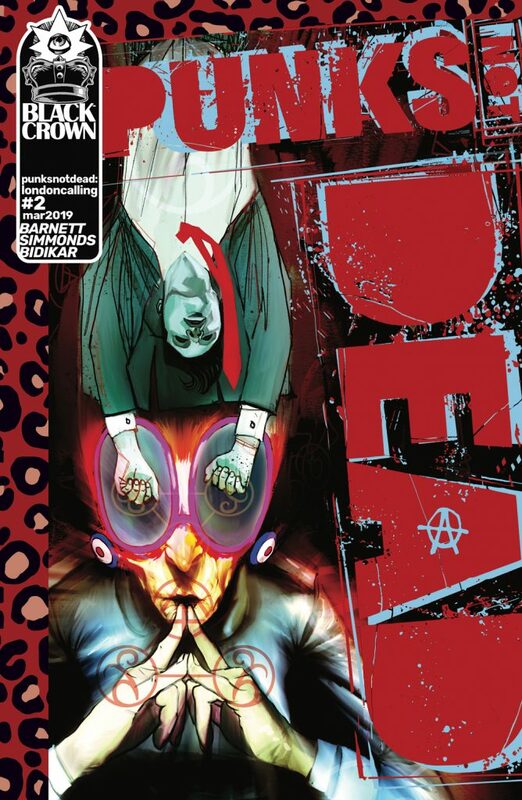 Punks Not Dead is one of the funniest, spookiest, most entertaining comics you’ll read today. London Calling is the best version of itself yet. Optimum pairing with PND: LC goes thusly: a bottle of bubbly, a pizza, and thou. CH: Lumino. Alchemiss. Iron Snail. Dyna-Soar. Zip Tide. Tryout roster for the Legion of Substitute Heroes? No, just a few random superheroes produced by the mysterious H-Dial in the hands of various owners. To accommodate the premise of Robby Reed’s legacy, the Hero Dial required writers and artists devise new characters and powers each issue. When a wielder dials H-E-R-O, he or she becomes a random, unknown superhero. Then begins an exercise in narrative cleverness as the hero uses often unsuitable powers to settle the conflict. 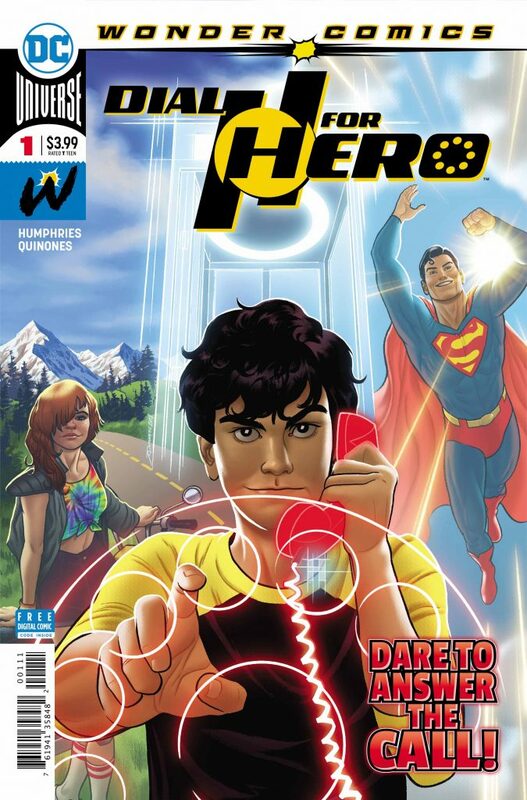 Wonder Comics’ new H-Dial series returns the concept to its roots: Young protagonists, oddball supers, themes of adventurous fun. Past series (there were many, a testament to its appeal) asked readers to submit ideas for Dialspawn and villains. Modern attempts became dark-n-gritty, with grown original Dialers becoming convicts or brainwashed cult members. Mature versions of kid fare can be effective, Marvelman/Miracleman noteworthy examples. The Dial, though, never felt right separated from its juvenile roots. As a kid, I was a Dial H fan. Through the later grim versions, I remained a fan. But like a cheeseburger addict jonesing for “The Much Better” Triple Cheezborger from Billy Goat Tavern and settling for a Landshire microwaveable, the flavor was profoundly missing.